Elfrieda “Freddy” Hiebert (Ph.D., University of Wisconsin) has had a long career as a literacy educator, first as a teacher’s aide and teacher of primary-level students in California and, subsequently, as a teacher educator and researcher at the universities of Kentucky, Colorado-Boulder, Michigan, and California-Berkeley. She is the CEO of TextProject. Her research, which addresses how fluency, vocabulary, and knowledge can be fostered through appropriate texts, has been published in numerous scholarly journals and books. Through documents such as Becoming a Nation of Readers (Center for the Study of Reading, 1985) and Every Child a Reader (Center for the Improvement of Early Reading Achievement, 1999), she has contributed to making research accessible to educators. 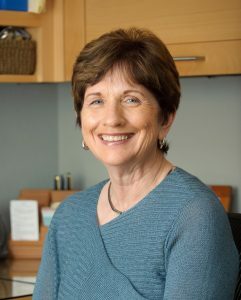 Hiebert’s contributions to research and practice have been recognized through awards such as the American Educational Research Association’s Research to Practice award (2013).